Awesome Mails Pro 3.0 – Create interactive emails. Awesome Mails Pro 2 (was Awesome Mails) is a professional newsletter and marketing email designer. 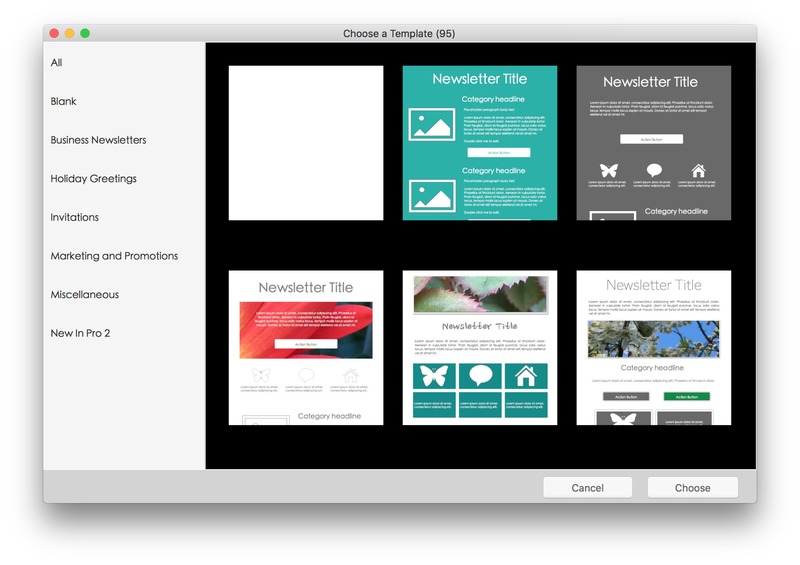 Create beautiful interactive emails with photos, stylish fonts, and web hyperlinks. Bundled with over 90 beautifully designed email templates covering various styles including Business Classic, Memo, Notes, Marketing, Holiday, Categories, Retail, Invitation, and more! Next story JustBroadcaster for YouTube 1.8.5 – Video streaming for YouTube. Previous story Movavi Slideshow Maker 4.1.0 – Create a photo slideshow on your Mac. MailRaider Pro 3.24 – Read Outlook .MSG files on your Mac. Mail Perspectives 2.2.1 – Extends Mail user interface to tame window chaos.